Penn Boys Soccer senior Drew Fulmer led the backline for the first three years of his Penn career, and did a very good job at it. Now he is leading the frontline, and the Kingsmen have been striking gold so far. Fulmer scored three goals in 21 games last season. This season, he’s struck for seven goals in 11 games. 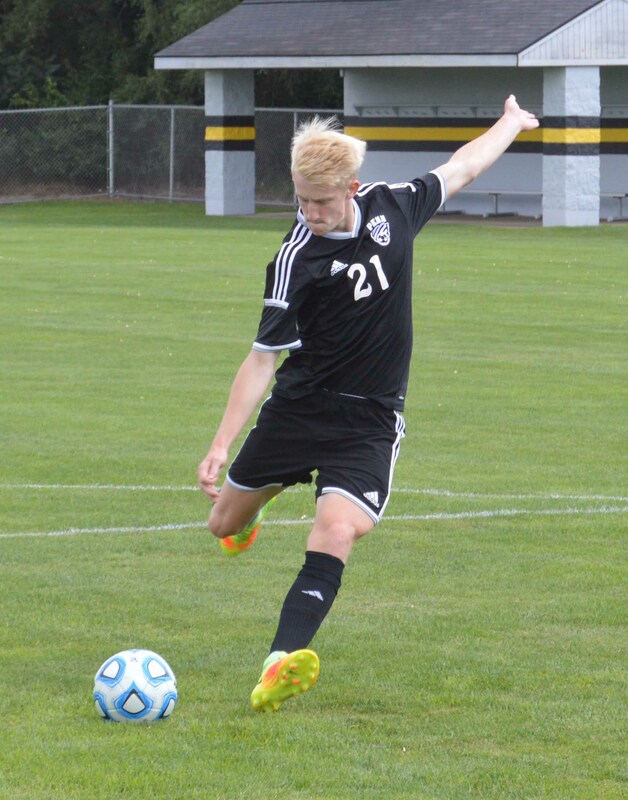 Fulmer’s success at striker has been a big reason the Kingsmen are unbeaten — 9-0-2. That’s a big change for Fulmer, as he has never played striker before, but Penn head coach Josh Nakayama noticed the qualities in him that would fit his striker role perfectly in the system that Penn likes to play. Fulmer has made the transition very well. While Fulmer has been very good at getting scrappy goals in his Penn career, now he specializes in it. When you look at Penn’s No. 21, one of the first things you notice is his crazy, unorthodox haircut — a mohawk-mullet style. Fulmer may be noticed for his hair at first, but now he is being noticed for his goal-scoring prowess. Fulmer was a big part of Penn’s semi-state run last season, and he is going to have to be a huge part of this season, and postseason, for Penn to replicate how well they did last season. Fulmer also talked about being a role model for the younger guys, and that he is proud to be on the frontline of this team. Sophomore teammate Alex Karamitsos said that Fulmer is a selfless player. Fulmer is looking forward to playing in college, after this last state-title campaign comes to a close. He is looking at North Carolina Wilmington, North Carolina Asheville, and Chowan University.